An ambitious, hard-working, persistent individual who enjoys coding and can work individually as well as in a team. When I was about 6 years old, I was introduced to a box with a screen and another box with buttons on it and when they were both turned on and used in the appropriate manner, they could do tasks faster than a human could. These two equipment were parts of a computer workstation and were known to be the next step towards the future. And I have been interested in computers and technology ever since. As I grew older my interest in computers got greater and as it got greater, I sought out new resources to learn more and to satisfy my own curiosity. After getting a foundation on how a computer functions, I thought of doing a specialization on one component of a computer. Initially I wanted to go in to computer security but then my mind changed after grade 11 when I took my first programming class. I learned Visual Basic along with Turing and then learned Java in grade 12. Over the years, I learned new languages and enhanced my skills in the languages I already had known from school and also on personal time using online resources such as Udemy.com. I love everything about software development and the idea of making the computer do cool tasks with just a few lines of code. Apart from Software Development, the one thing I’m most interested in is Astronomy. I find it fascinating how the universe came to be and what goes on out in Space and how the Earth is just a grain of salt in an Ocean. I often research about topics in Astronomy and learn more about them until I’m satisfied. I also love the show Cosmos which was originally hosted by Carl Sagan but now is hosted by Niel deGrasse Tyson. 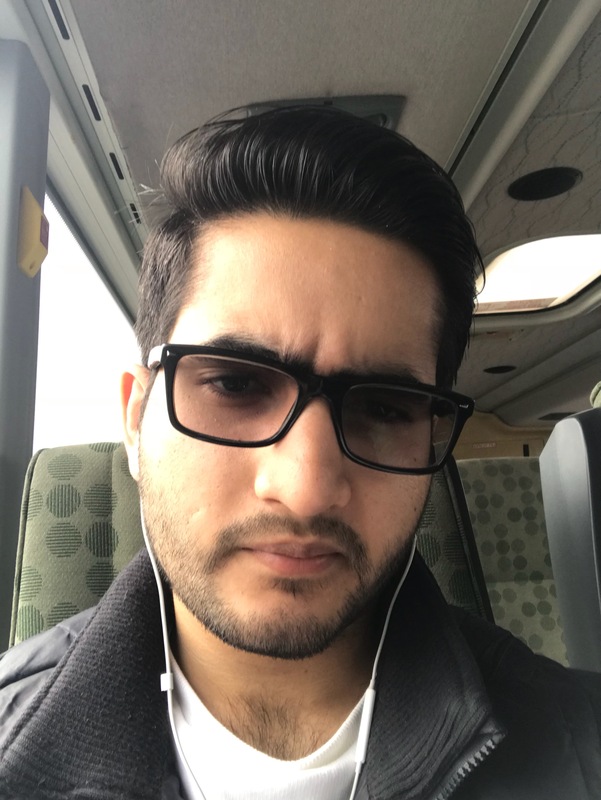 I am currently a student at Seneca College in the Computer Programming & Analysis program and also work at Emerson Canada as an IT Analyst. After getting a co-op job at Emerson Canada, I had been granted to work part-time there to work on new and existing projects. I also work as a Consultant at Nidec Motors Canada. I have experience and knowledge in writing various kinds of Software like: business stand-alone and GUI applications, web development, Android and iOS app development, and game development in addition to VR (Virtual Reality) with Unreal Engine. After I get a thorough understanding of VR development, I plan on tackling AR (Augmented Reality) development. Along with AR development, I also plan on doing AI (Artificial Intelligence) creation which is something that I’ve had a vision for since I was young; a computer that can think on it’s own. I strongly believe that the world is going towards the VR/AR & AI industry and that everything is going to be virtual in the future and controlled by Artificial Intelligence. Hopefully there won’t be a Skynet/iRobot/Red Queen incident (referring to Terminator, iRobot, and Resident evil respectively). When it comes to writing code, I think of all the key factors of good programming practice. I keep in mind that the code needs to be not only rich on the functionality side but also reliable, efficient, maintainable, secure, and easily readable. I like to emphasize on readability because it takes care of maintaining the code. As technology advances, newer libraries will come out that will provide better functionality and efficiency than the older code (which then becomes “Legacy Code”). If the code is easily readable, then it makes the maintenance easier which in turn makes the job to adjust the code for efficiency, security, etc, easier. The security factor is also very important because you would want to ensure that your system is protected from mischievous individuals. Having knowledge and experience in hacking and penetration testing, I try to write code that is free from attacks such as XSS and SQL Injection. But of course, it’s almost impossible to take care of every bug and flaw since human’s aren’t perfect which leads back to the one key factor when writing code; maintainability. Trust Yourself – Believing in yourself no matter what. Break Some Rules – Break some rules but don’t break the law. Don’t Be Afraid To Fail – You will fail, it’s inevitable. But don’t let it break you.